What is the best part of a blind tasting? The moment when we reveal the wine and the people have spoken. At Lenné we love to get consumers together to taste wines blind not just because it is a great wine education experience, but most of all because it is a lot of fun. Saturday, August 5th, we had fifteen tasters deciding the fate of eight high-end Oregon Pinot Noirs fromt he 2014 vintage. The flight was a really good one and all the tasters agreed it was difficult to pick clear winners and losers. Having done these tastings for years, we can tell you that the qaulity of Oregon Pinot noir has never been better. The more we do these tastings the more we are impressed with the sophistication of consumers in not only picking out what they like, but also discerning real stregnths and weaknesses of the wine. The two wines that were beautiful but over oaked were recognized by tasters and came in at the bottom of the pack. We usually have tasters go through the wines, tasting and smelling for 20 minutes in silence so they don't influence their fellow wine critics. Then they rank the wines in order of preference and the scores are added up and the winners and losers revealed. The fun part is when we let the tasters comment about each wine one by one, report it's rank by the group then pull the paper bag off and reveal the producer. That is when the magic happens and your ideas are confirmed or shattered. Here are the wines we had to judge from on Saturday and as always we only reveal the rank of the top three wines unless you attend the tasting. These were all from the 2014 vintage. There aren’t a lot of wineries that offer blind tastings. 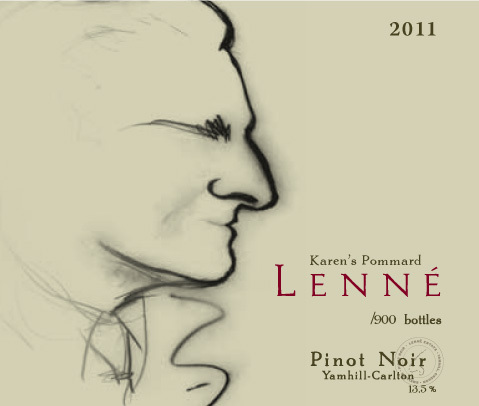 In fact, Lenné Estate might be the only one that regularly puts our homegrown pinot noir up against seven other great wines, and lets members of the wine-drinking public vote on the ones they like the best. Six times a year, we invite people to come, taste, and judge for themselves which wines are best. Once we’ve tallied up the votes and crowned the winners, we reveal the identity of every wine—winners and losers alike. It’s democracy in action, and—just like democracy—it’s often a little scary. There are a few reasons I do this risky business, though. 1. It’s a great educational tool for consumers. There is really no better way for people to learn what they actually enjoy in a wine. When we don’t know who made a wine, where it’s from, or what to expect, we’re able to focus 100% on whether we like the experience of drinking it. It’s all about our subjective appreciation of the wine, and not at all about prestige, packaging, or expectations. Even though I get a little schoolmarm-ish at our events and tell people not to talk as they taste through the lineup, the silence is actually really freeing. Our guests enjoy getting to focus on their own individual palates, and discovering which wines they prefer when no one is looking at the label. Plus, it’s fun! Everybody loves the drama and anticipation at the end, when we finally reveal which wines were the most highly rated. Many guests get hooked on the concept and become regular attendees of our blind tastings. Since we change the wines and the themes throughout the year—Dundee Hills versus Yamhill-Carlton, New Zealand pinot noir, red Burgundy, Willamette Valley—it’s never the same lineup twice. 2. It’s a great educational tool for the industry. I love doing blind tastings with the public because we get to see what style of wines consumers are actually responding to. We often invite wine industry, trade and media participants to solicit their opinions, as well. Over the last 10 years hosting these blind events, I’ve found most people strongly prefer wines with good texture on the back of the mid-palate, which is one of the reasons why our Lenné Estate wines almost always come out near the top. Participating in blind tasting is good practice for us, too. I run our tastings so even our staff doesn’t know which wines are which until the end, and we can evaluate our (and our competitors’) wines free of our own prejudices. I actually first started doing blind tasting as an employee education perk when I worked at Vichon Winery, a Mondavi property. At that time, the Mondavis hosted weekly blind tastings for employees that pitted their wines up against the best in the world—including several First Growth Bordeaux for their cabernets, and Burgundy titans like Domaine de la Romanée Conti for their pinot noir. I wish I could afford to include DRC in our tasting classes at Lenné, but our pricing hasn’t quite kept pace with theirs. 3. We’ve got confidence in our site. Lots of other wineries (and PR professionals) think we’re crazy for putting our wine up against our competition in such a public way. But I know our site, and it’s about as good as it gets. 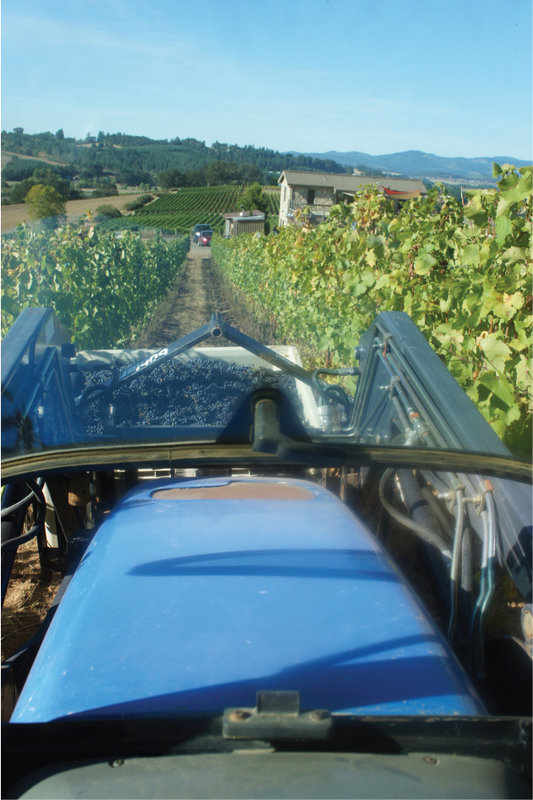 The steep, southwest-facing slope has unbelievably poor soils that make the grapes fight hard to survive. We lost thousands of vines in our first few years, and had to replant some blocks entirely. It took us six years to get a normal-sized yield. But the result is worth it—tiny clusters of thick-skinned berries with intense concentration, distinct mocha aromatics, and our remarkable signature mouthfeel. We put one of our wines in every single blind tasting, and I’m never disappointed in their performance. Lenné Estate hosts blind tasting events approximately six times each year. For more information and tickets, visit our Facebook page or online calendar at: http://www.lenneestate.com/events. A vintage only parents could love. 2014 may be the longest lived hot year ever! The 2014 Willamette Valley Pinot Vintage and a Blind tasting. Blind Tasting are risky business! I am one of the most impatient people I know...ask my wife. But I have become very patient with wine. Is that an oxymoron? Perhaps but there is nothing like experience to slap you in the face with the hard, cold reality: Oregon Pinot doesn't become interesting until 2 to 3 years after we release it. Okay, I have said it and some of you may not want to hear it, but it is just the reality of Oregon Pinot Noir. At least you aren't waiting 15 years like some Burgundies(by the way, I only started collecting a few Pinot's from accross the pond since 2003 and haven't drunk a one of them). But once you have been patient with your Oregon Pinot Noirs you will never go back to drinking them young. Recently I have revisited the coolest vintage ever, 2011. I tasted the 2011 LeNez numerous time in the last two months. While still delicate, it is delicous, with aromas starting to develop that were only on a wish list two or three years ago. I suspect it will be around for another decade and in two to three years will be savor worthy. Then I tried the 2011 Lenné Eleanor's 114 and the 2011 Karen's Pommard and both of them were like bright lights, illuminating what the difficult vintages can become. I am starting to form a clear image of where these wines are headed. In two to three years they may become one of my favorite vintages, time will tell. But there is no doubt that there is magic in this vintage. I skiped over it in favor of the 2012 wines because the 2011 wines were undrikable 4 years ago. Not anymore. The more I do this the more I realize it is the cooler vintages that capture my imagination, never in the beginning but always in the end. We are so lucky to have this variation and it sure keeps life interesting for me. I hope you have 2011 wines in your cellar and if you do, hold them at least another year. Yes, I know, nothing comes easy that is good and it couldn't be more true with respect to Pinot Noir from the Northern Willamette Valley. Just be gratefull that you don't have to wait as long as Burgundy. Of course they are but not for the reasons you think. How to be a Wine Critic. Are you better than the wine critics? The 2013 Vintage and what we have learned. The Wine Spectator doesn't pan the 2013 vintage! The Earliest Harvest ever begins.